Ōtaki Hydroponics are now in their second year of running their fun Potato growing competition . This year all proceeds raised from the competition entries are going to our own Ōtaki Fire Brigade. Kay McLennan from Ōtaki Hydroponics says that it is all too easy for us to forget the amazing work that our local volunteer brigade do. The recent fire at Te Horo highlighted this.The fire brigade are often the first people on the scene of car accidents and sports injuries. Anything we can do as a community to support our volunteer fire brigade has got to be a good thing. All entries will receive an entry number that will be used for purchase and judging day. You can use your own (secret) growing medium and fertilizer. 1st, 2nd, 3rd, 4th, and 5th prizes for the greatest yield. Plus heaps of other spot prizes on the day including potting mix, compost, $50 discount voucher on Hungry Bin worm farm. The list just keeps growing. We will pre-order fine weather and endeavour to make it a great day to be shopping with us as well with one day only specials etc. and other ‘go in the draw opportunities’. This will be a great day for you to meet likeminded gardeners and share gardening tips and have some Pre Christmas Fun!!!! Lots to be revealed over the coming months. Be in quick and get a head start on your competitors. Let’s make this fun and along the way know that we are donating to a great cause. You have More than 120 days to grow the best crop ever. Top yield last year was 1.885 kg can YOU beat this???? The age-old practise of seed raising is a cost effective way to fill your garden with both vegetables and colour. While seed raising is not rocket science, there are a few key tricks to ensure successful germination. 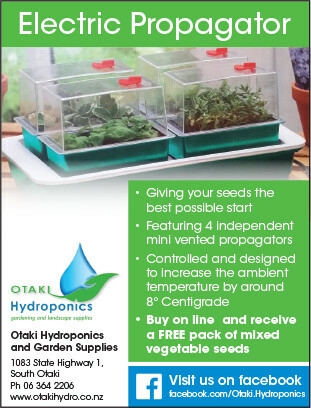 By using an electric propagator you are guaranteed a more consistent temperature, thus ensuring a greater strike rate. Use our premium certified organic seed raising mix and you are off to the best possible start.